When was the last time anyone talked to you about going to the bathroom? Probably not since you were potty trained! Did you know there are exercises that improve sports performance as they improve pelvic health? And, have you or your daughter every wanted to curl into a ball and stay home from school or work while you have your period? 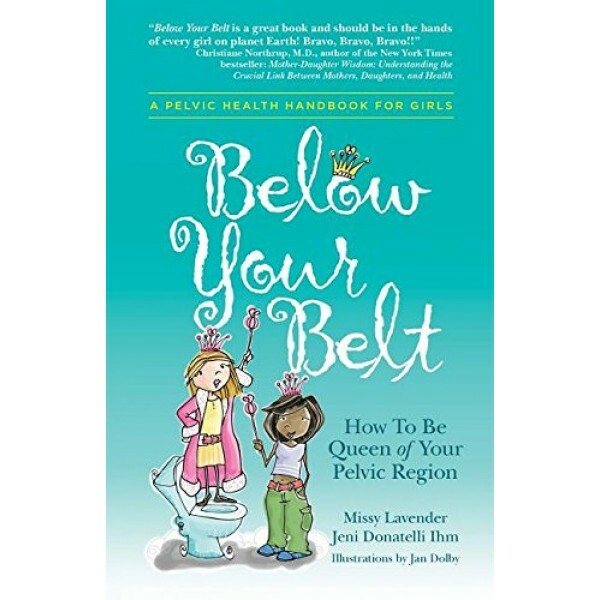 More than a book about first periods and changing bodies, Below Your Belt is a pelvic health handbook to teach girls about the WHOLE picture. 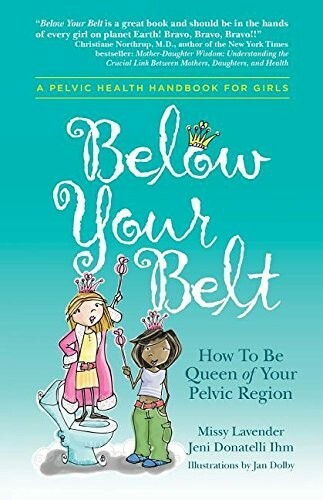 Shining a light on each part of the pelvic region beginning with a look back in time and ending with a Queen's coronation, readers will take a journey through pelvic bones and muscles, bladder and bowel health, ovulation and periods, core energizing stretches and exercises, hygiene, and more. In addition to the engaging and humorous text, Below Your Belt includes proper terminology, illustrations and diagrams, a "Texting Lexicon," Glossary, Conversation Starters, and scads of websites, books, products, and other resources. The Women's Health Foundation has also published a picture book about pelvic health for kids aged 3 - 7, Riding The Potty Train.